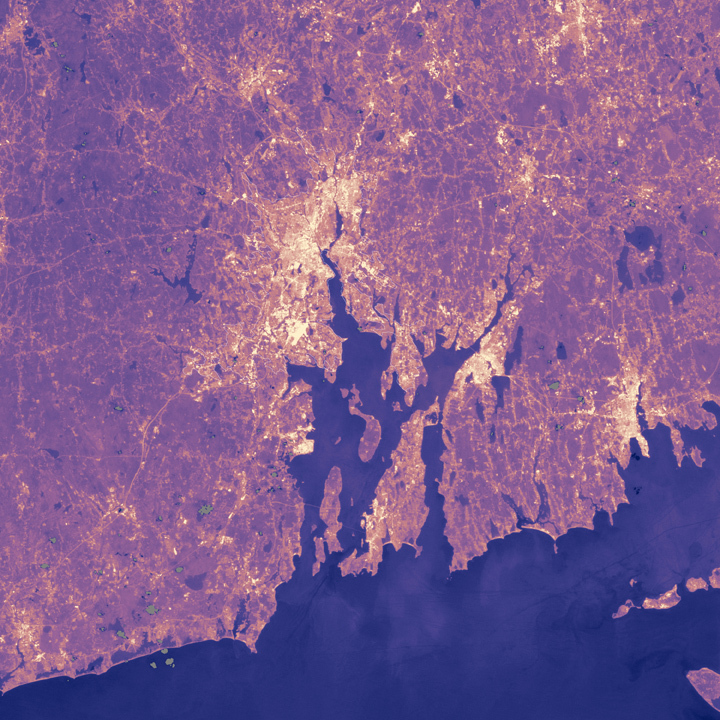 On the NASA Earth Observatory’s web site are wonderful satellite images showing the surface temperatures in Buffalo, New York (above), and Providence, Rhode Island (after the jump). Buffalo, where development tends to be more spread out, has less of a temperature gap between the city and the outlying areas than Providence, researchers found. Note the major differences between areas right next to each other. Major roads appear as lines on the map, thanks to the heat given off by the paving. 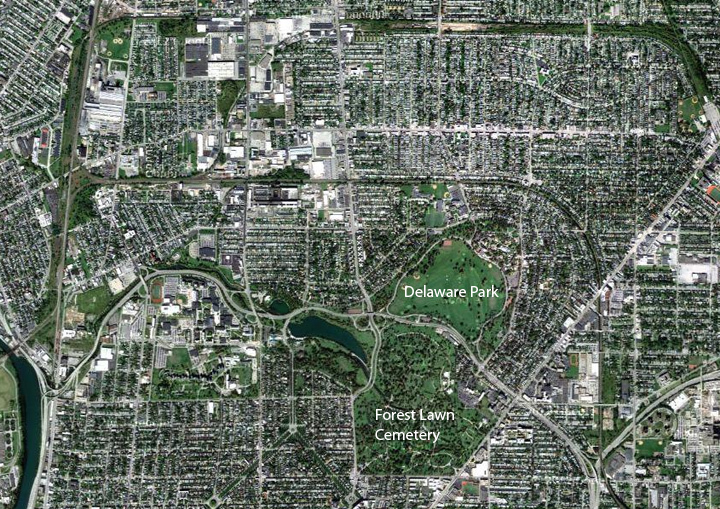 And Forest Lawn Cemetery in Buffalo appears to be much cooler than adjacent Delaware Park. What differentiates the two landscapes? It’s not pavement; it’s tree cover. Delaware Park has fewer trees. Above: Surface temperatures in Providence, Rhode Island. 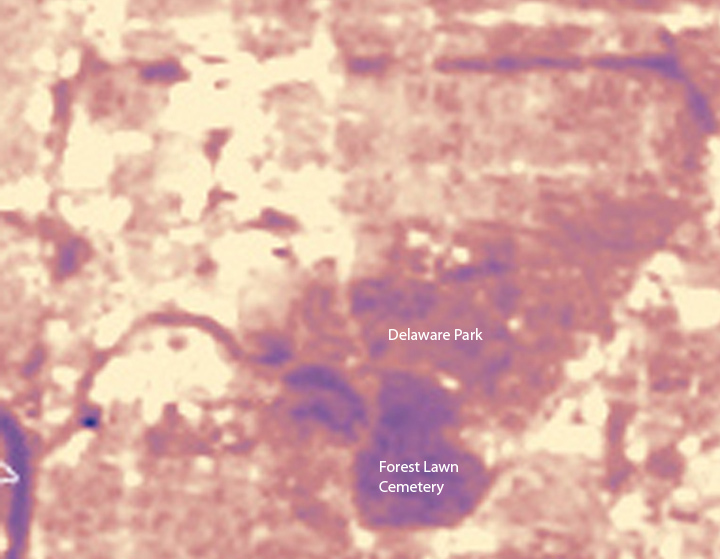 Below: Surface temperatures in Buffalo’s Forest Lawn Cemetery and Delaware Park and an aerial photograph showing approximately the same area.